Former Wales international Lee Jarvis has demanded Eddie Jones is sacked by the RFU for his comments and in an outburst said the Aussie’s actions were worse than the Jamie Carragher spitting incident, that dominated the news headlines this week. 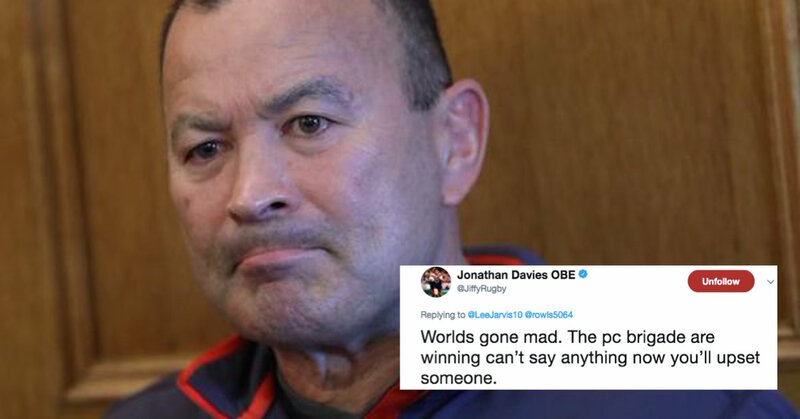 The former Cardiff and Pontypridd fly-half on Twitter: “Eddie Jones calling Wales a s**t place, that’s worse that Carra23 spitting incident. “Sack him straight away. And he wonders why he gets abuse on public transport. Worlds gone mad. The pc brigade are winning can’t say anything now you’ll upset someone. This happens up and down all the countries in the 6 Nations – it’s called humour. Never serious, just gentle digs. https://t.co/cVTd0QNe0Q I know he is in a public position, but surely we all see this for what it is?? SURELY !!! !